The HoneyBee FP (Fixed Pitch) rc helicopter (some call it ESKY). Model: EK1H-E004. 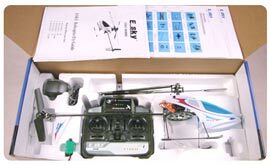 This model is one of the best options for a beginner, excellent stable flight yet not to complicated or too powerful. 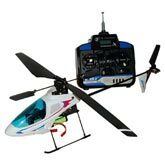 See our price match promise at the bottom of the page, we will beat any UK price on this rc helicopter. HoneyBee (beginners helicopter) - the details! DEAL 1: Shown above for £105.74 and includes everything stated above. You can get this delivered by next day post and Internationally, just use the buttons below for each delivery option. DEAL 2: Includes everything stated above + EXTRA main blades + EXTRA tail blade. You can get this delivered by next day post and Internationally, as well. DEAL 3: Includes everything stated above + EXTRA main blades + EXTRA tail blade + EXTRA battery. You can get this delivered by next day post and Internationally, as well. Standard delivery: Royal mail standard parcels, 2-5 days. Next day delivery: Royal mail special delivery, 1 day. International: Royal mail international signed for, 3-7 days. All services come with adequate postal insurance and usually have to be signed for. * ORDERING AREA, pick the DEAL and the delivery option you want.